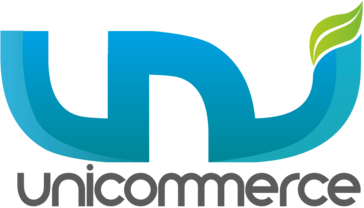 Unicommerce is an Indian E-commerce industry product in the Order Fulfillment space. Unicommerce is the leading global E-commerce Supply Chain Solution which enables Manufacturers, Wholesalers, Distributors, Retail Chains, Individual Store owners and E-commerce sellers to automate their supply chain operations for online and offline business to sell more. Selling at Multiple Marketplaces and Carts is very easy with Unicommerce at the back-end. Unicommerce comes pre-integrated with 100+ leading marketplaces, carts, couriers/shipping companies, accounting and ERP software. Every aspect of End to End order fulfilment including procurement, vendors, inventory, warehouses, shipping, drop shipments, returns can be managed and automated with Unicommerce. Being a cloud-based SAAS Solution there is no separate investment required for servers, hosting etc. Unicommerce adds new features and functionality to the product almost every month, keeping their 10000+ sellers always on top of the things. Founded in 2012, the company has grown rapidly to become the "backbone of e-commerce supply chain industry" with the platform being used to process 100 mn+ orders annually, amounting to 15-20% of overall Indian e-commerce transactions, with the presence in 220+ cities in India and the Middle East. Unicommerce is headquartered in Gurugram, Haryana and is a profitable venture with 20-25% EBITDA margin, growing aggressively in both India and the Middle East. Hi there! Are you looking to implement a solution like Unicommerce?